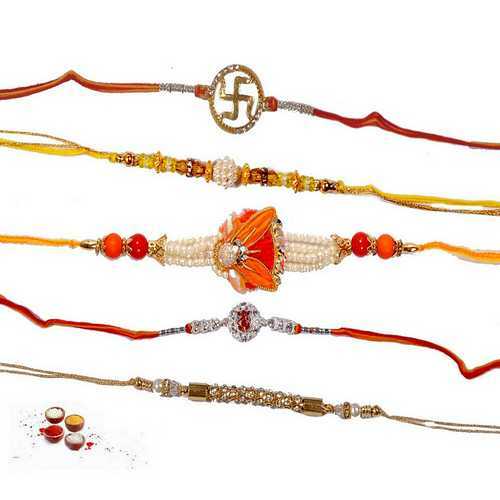 The set consists of four stunning jeweled bracelet rakhis decked with american diamonds or premium white stones. The first rakhi is a silver bracelet rakhi with a beautiful chain having a heart shape motif decorated with stunning white premium stones presenting sliver and diamond aura. 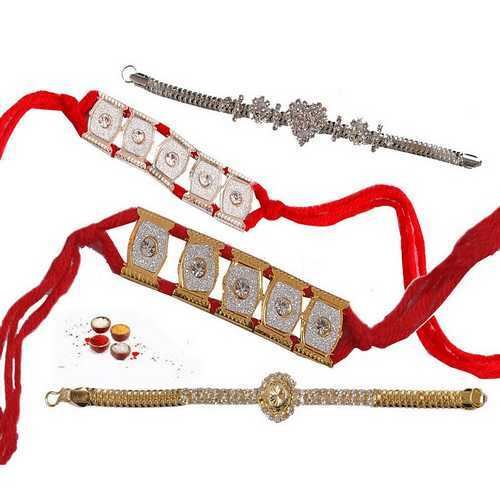 The second and third rakhis are in red mauli decked with american diamonds and silver & golden materials. 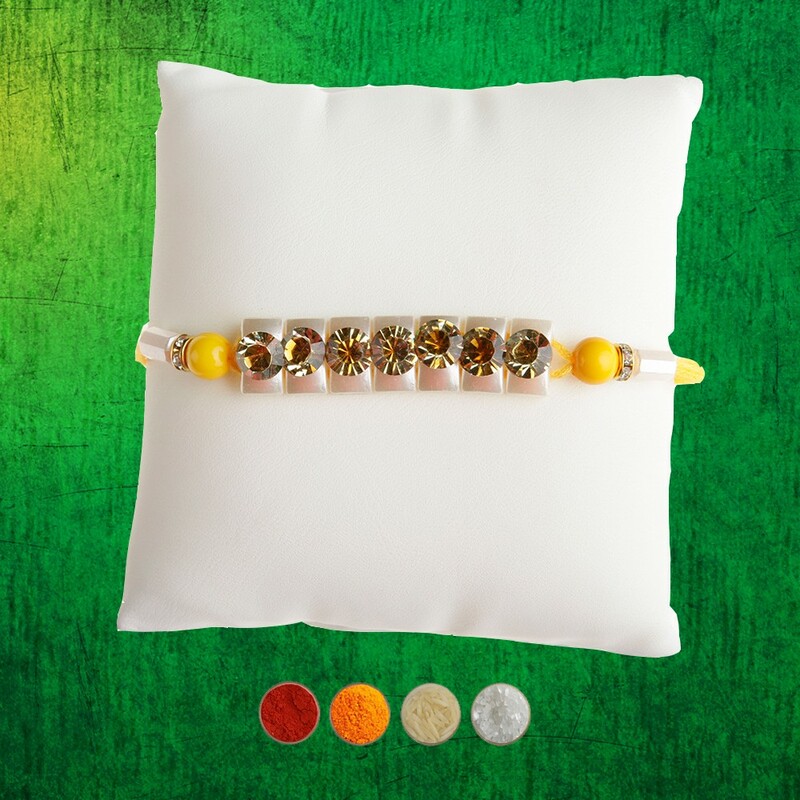 The fourth rakhi is a jeweled bracelet rakhi with golden chain studded with small diamond aura premium white stones. 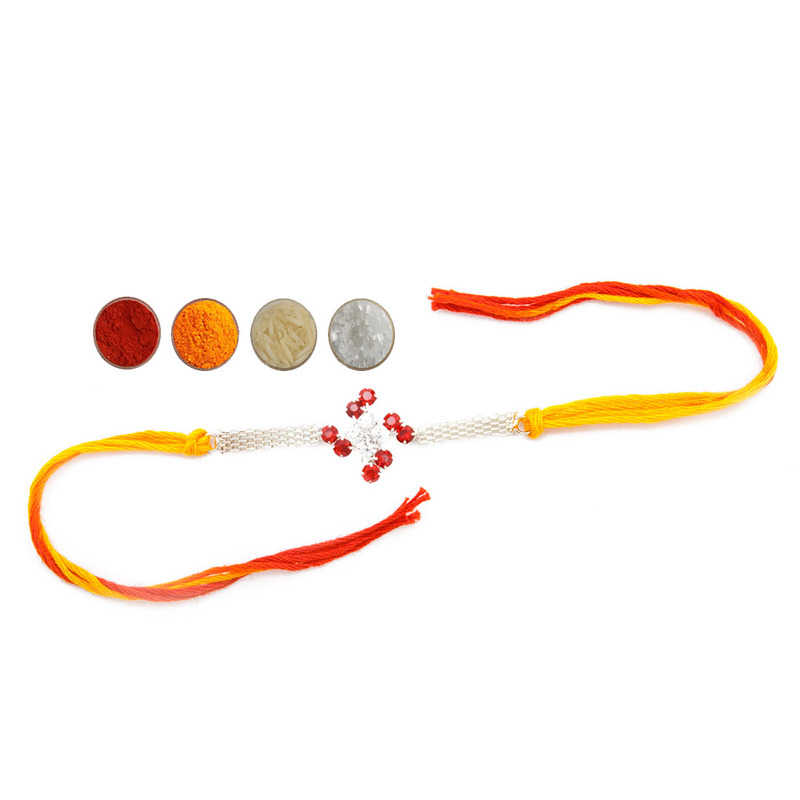 All rakhis are elegant and will surely impress your brothers. Your brothers will definitely admire your choice. 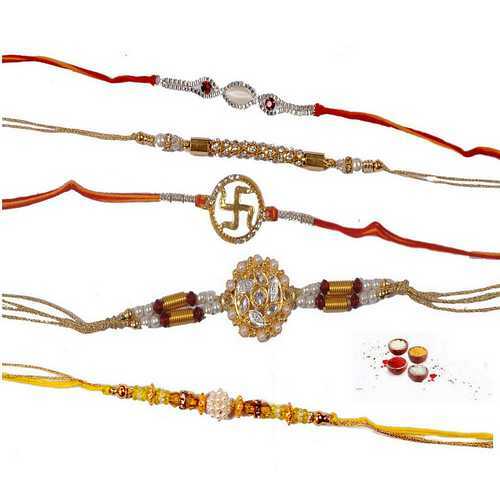 Send these beautiful jeweled bracelet style rakhis with warm wishes and love to your brothers online. 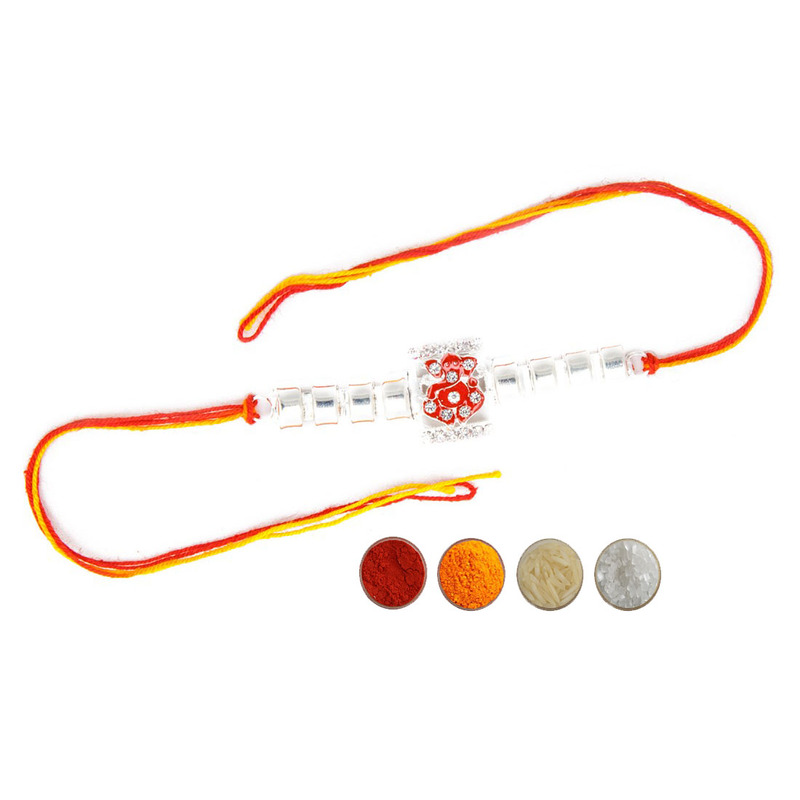 We are offering these rakhis with complimentary Roli, Chawal, Chandan and Mishri.